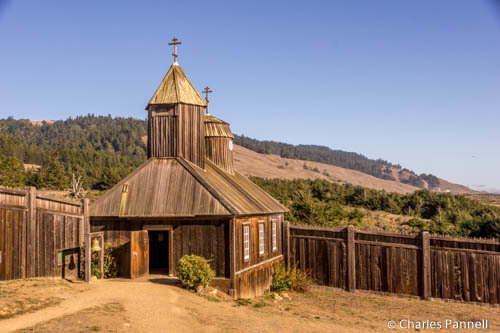 Located on scenic Highway 1, Fort Ross was once the site of the southernmost Russian settlement in America. Over the years it transitioned from a fort to a ranch, until the state of California purchased the abandoned site in 1903. 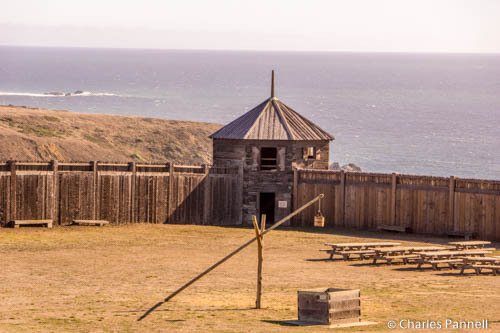 Today, the refurbished fort is open to the public; and although access is somewhat marginal at many historic attractions, I’m happy to report that thanks to some substantial access upgrades, Fort Ross is now accessible to everyone. Accessible parking is located in front of the visitor center, with level access to the front door. Inside, there’s plenty of room to maneuver a wheelchair around the interpretive exhibits, and level access to the theater where a short historic film is shown. There are also accessible restrooms in the visitor center, and accessible picnic tables on cement pads out in front, under a grove of trees. Interesting facts about the fort, include that it had the first glass windows and windmill in the state, and that it was briefly owned by John Sutter. There are two ways to get to the stockade from the visitor center. You can take the accessible .3-mile paved path from the back door, or you can drive. If you opt to drive just make a left on the road near the windmill at the far end of the parking lot. There’s accessible parking near the fort, but you need to have a placard in order to drive down this road. Inside the stockade you’ll find level access to the first floor of the Rotchev House (the only original structure left), the official’s quarters, the first floor of the blockhouse and the chapel. At first glance it appears that only the first floor of the Kuskov House is accessible, however there’s also ramp access to the second floor around back. There’s also an accessible dirt path that leads to the different structures, and if you don’t stray from it, you won’t have any access problems. Make sure and time your visit accordingly though, as Fort Ross is only open from Friday to Monday (excluding state holidays, Thanksgiving and Christmas) from Nov 1, 2015 to March 15, 2016. 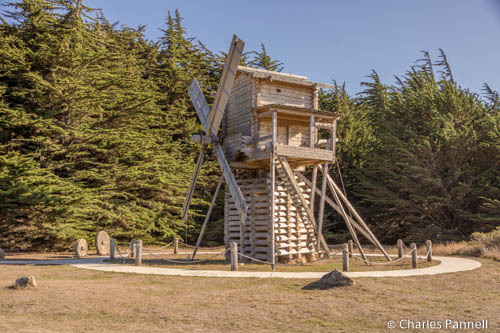 So next time you’re cruising down Highway 1, make a short Fort Ross detour, and discover the interesting history behind this historic structure. This entry was posted in Attractions and tagged california, Highway 1, historic, road trip, State Park by Candy B. Harrington. Bookmark the permalink.